Earlier in the year IKEA announced the launch of its Food Is Precious initiative, which aims to halve food waste in its restaurants before the end of August 2020. To achieve that, the food and home furnishing group has chosen Winnow as one of two key-partners. Using our smart scale, IKEA can understand the source of its food waste, measure it, and therefore reduce it. In total IKEA has deployed the system in 130 stores, and globally saved the equivalent of 500,000 meals, worth over €1,000,000. 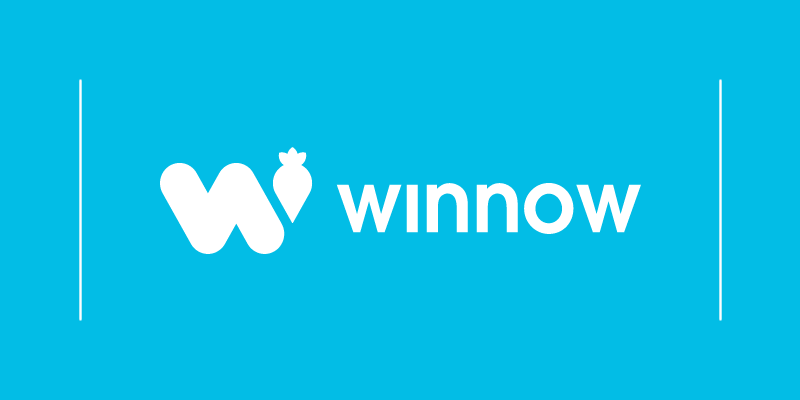 Winnow, as one of two key partners, has deployed the cutting-edge technology in 93 of the 130 stores. We plan to raise the number to 200 within two years. We have interviewed some of IKEA’s food waste champions to give you an insight into how this is being achieved. 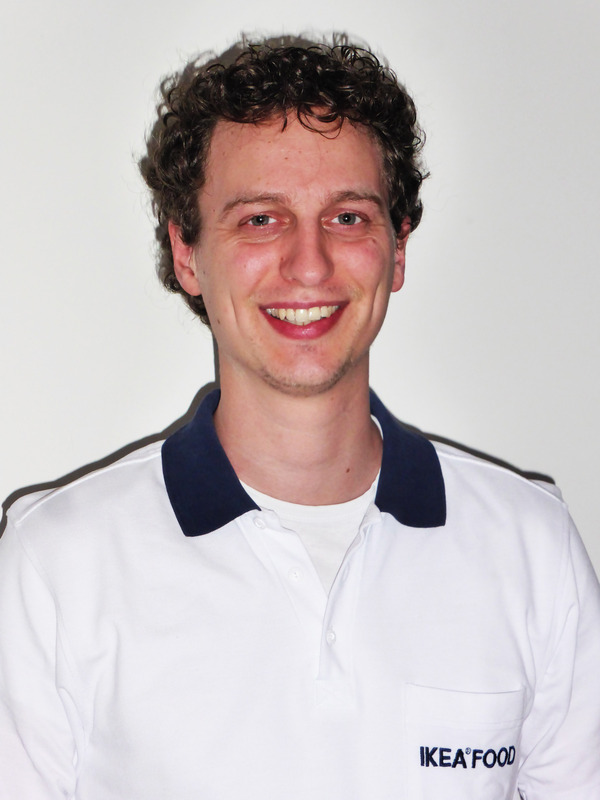 Today, Leander Doornekamp, Team Manager at IKEA’s Amersfoort store, tells us how his team managed to reduce food waste by 40% in less than six months. I’ve always worked in kitchens, and I’ve always been interested in food. I studied nutrition and dietetics at the university. The body is an amazing and complex machine. Combined with the right nutrition you can really influence how you feel and how well you can perform. Before IKEA I worked full time as a chef in a busy restaurant. This meant working a lot of evenings and weekends. As I wanted more time to see my friends and family I decided to look for a different job. Preferably something in the food industry where I could continue my learning and development. IKEA offered just that. I started out as a production specialist, participated in the Aspiring Team Manager Programme, and I am now a Team manager for the Swedish Food Market and Bistro at IKEA Amersfoort. Back when I was 16, a friend of mine worked in a kitchen. They were hiring and, as it was a weekend job, I could combine it with school. Needless to say, the combination worked out well. I still enjoy cooking and eating as much as I did back then. It’s great to combine ingredients and flavors to serve a tasty meal. I have always learned on the job. A very hands-on approach to learning suits me best. At the beginning of our Food is Precious program there were several technical difficulties we had to solve. After those were fixed, we had to get the entire kitchen team on board. I’m very proud to say that we have a great team, and everybody was open to this change. Training the team was a smooth process. With the help of the Winnow system, we now know what and how much we waste. We have reduced food waste by more than 40% in less than 6 months, which is an incredible result. We have implemented many initiatives to reduce our food waste. Our key to success is a continual focus on our top three wasted products. On a daily basis, we discuss the top three items and how we could further reduce the waste. This attention has led to great reductions in food waste. We also asked the team for their input. They come up with a lot of good ideas too, like ordering less, better insight in production quantity, ordering according to production quantity, and presenting less food. Right now, I think our customers don’t know what we are doing internally. We are very modest in our communication. By using the right technology, we can communicate our efforts and stories really well. For example, we could use interactive placemats which tell a story about our sustainably farmed fish or organic coffee beans. Things like this would make our customers more involved and enthusiastic about what we do. We are currently doing a lot of great things around sustainability. We serve UTZ organic certified coffee, all our fish is either ASC or MSC certified, and we try purchasing organic vegetables as much as we can. But there is still room for improvement. In order to become more sustainable, we want to offer more sustainable meat options in the future. Also, we really need to focus on getting our sustainability message across to our customers. Focus on reducing your top three most wasted food items. This has brought us amazing results and can do the same for you. What are your top tips to cut food waste? It is important to focus on predicting customer numbers. Cook according to what you are going to sell. Have your complete range available during peak times, but reduce your range during quiet times. It is, however, vital to remain customer-focused at all times. Tell them what you are doing in terms of cutting food waste and they’ll be very understanding - they won’t mind waiting a couple of minutes when something needs to be freshly made for them. There are two: Matt Wilkinson and Jamie Oliver. Matt Wilkinson for his awesome books, which focus more on vegetables and less on meat. I really like this approach, especially in terms of sustainability. Making meat tasty is very easy. Making vegetables tasty takes more knowledge and effort. I think that focussing more on vegetables and legumes instead of meat is a healthier option for all of us. Jamie Oliver has really grown on me over the years. I feel that following his steps will benefit a lot of people, especially families who don’t have much time for cooking. I absolutely admire him for his energy and enthusiasm for food. He really does try to turn his audience into a healthier bunch. Christmas Eve dinner is my favorite meal. I celebrate Christmas Eve in a modern farmhouse with a lot of close friends. There is a fireplace, lots of wine and laughter. Everyone makes his or her favourite dish and tells a background story about the dish. With usually 12 to 14 people there’s a lot of great food to go around. I look forward to it every year. I’m a big fan of the autumn and winter season. I like more complex flavours and heavier Dishes like mashes and stews. Not one dish in particular. Variety is the spice of life. A long time ago I went to a seafood restaurant in Bergen (Norway) that was next to the harbour. The restaurant was idyllic and the food complemented the entire atmosphere. It is definitely the best place to eat out. But, with good company, any place can be the best in the world.